HMRC may make a Discovery Assessment, that is an assessment outside of normal assessment time limits when all the relevant qualifying conditions are met. Rule 27 of the Tribunal rules requires parties to disclose the documents which they intend to rely on. Unlike the Civil Procedure Rules (CPR) there is no requirement to disclose documents which adversely affect or support the other party’s case. HMRC’s witness evidence mentioned reliance on its specialist Transfer of Assets Abroad (TOAA) team and notes from discussions within the Anti-avoidance group. HMRC refused to disclose these because they were ‘sensitive’. The taxpayer made application to the FTT for disclosure. The FTT found that disclosure was necessary in the interests of fairness. HMRC is appealing the decision. What are the normal assessment time limits? How far HMRC can go back to re-open years and what conditions must be met for a valid discovery assessment? 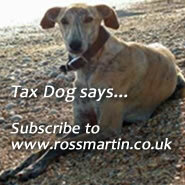 Not a yet a subscriber to www.rossmartin.co.uk? Come on. Minimal advertising, no abuse of your data and the best value in tax know-how. Subscribe now.